It is a well known fact that lawyers make a large amount of money every year, but with the high paying salary comes various consequences including long hours and stress. There are various other career options in the legal field that offer large salaries including judge, law school professor, litigation support director, and law firm administrator. Judges typically presides over hearings of cases or trials regarding a wide range of arguments including individual traffic violations to capital murders. They listen to the arguments of each side of cases and determine if the evidence is sufficient to warrant a trial. In criminal cases, judges may decide if individuals accused of crimes should be held in jail until the trial date or they may establish release conditions. Judges use their understanding of the law to determine the process of a trial and make sure hearings and trails are carried out in a fair manner that protects the legal rights of all parties. In jury trials, judges provide instruction to jurors on the necessary laws and provide direction on the facts from the presented evidence. Judges decide the case on all other types of trials. Many judges also approve search and arrest warrants. Judges must have a law degree and pass a competitive examination. According to the Bureau of Labor Statistics, as of May 2010, the median yearly salary for judges was $119,270. Law professors teach college-level law courses at colleges and universities. They provide instruction on many aspects of the legal system such as constitutional, criminal, business, and civil law. They are responsible for preparing lectures, classroom assignments, and grading. Some also conduct research and present case studies on legal cases. Many law professors delegate tasks to others and offer independent study opportunities to students. Law professors must have a doctorate degree in a law related field and some colleges and universities require extensive legal experience. As stated by Salary.com, as of July 2012, the median annual salary for law professors was $148,786. Litigation support managers oversee the support offered to the litigation activities of a legal organization. They design, employ, and maintain litigation databases and provide necessary assistance as needed. They provide training on using the database and managing documents. 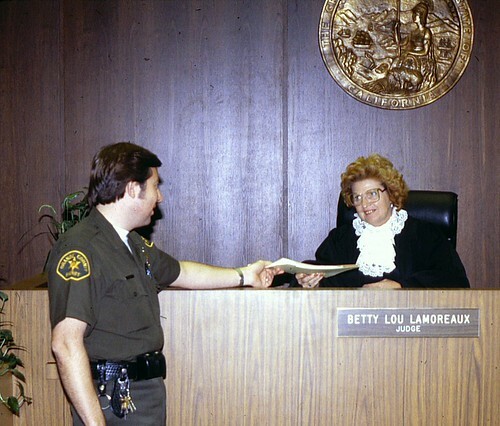 They also make sure all documents and exhibits presented for trials are accurate and complete. Litigation support managers usually need at least a bachelor’s degree and a minimum of five years in the legal field. According to Salary.com, as of July 2012, the median annual pay for litigation managers was $99,326. Legal administrators manage all daily activities of a law firm, legal office, or legal department to make sure it is operating efficiently. They manage budgets and payroll tasks, office space arrangements, ordering of supplies, and the activities of all employees. Legal administrators generally need at least a bachelor’s degree in business administration, law, human resources, or other related field. Most employers also prefer individuals with relevant work experience. Some legal administrators have professional certification from the Association of Legal Administrators. Cbsalary.com states, as of July 2012, the national average salary for legal administrators was $79,044. Regan Parker is a civil law paralegal and guest author at Best Paralegal Schools, a site with resources to help prospective students evaluate paralegal schools.